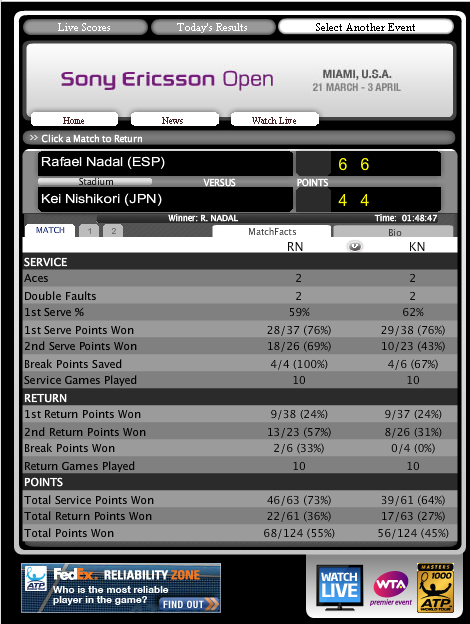 Rafa won his second-round match against Kei Nishikori, 6-4, 6-4. 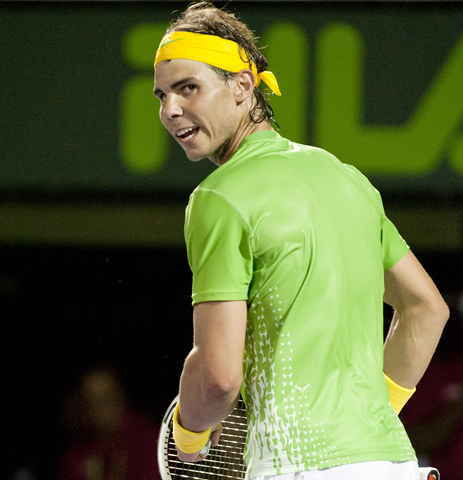 He will face Feliciano Lopez next. Their Head 2 Head match is 6-2 for Rafa, last time they played was at the USOPEN where Rafa defeated Feliciano in straight sets.